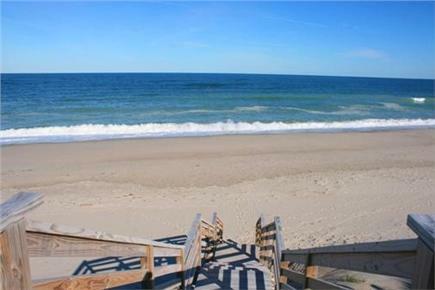 Sandwich Vacation Rental ID 25169 - vacation right on the beach! 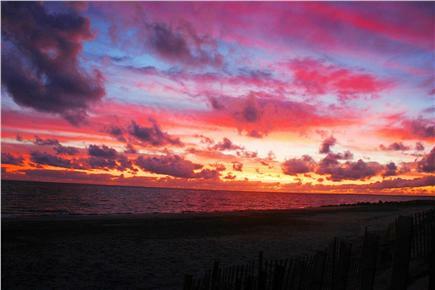 Beautiful sunrises beckon a walk on the beach! Relax in our great room - Living Room, Dining Area and Kitchen. Enjoy an intimate meal or comfortably seat 6 at our dining table. Enjoy cooking in our nicely equipped kitchen. Sleep in a beautiful Master Bedroom on main level in a King bed. Pretty 2nd Bedroom on 2nd flr with King bed & cozy twin built-in. 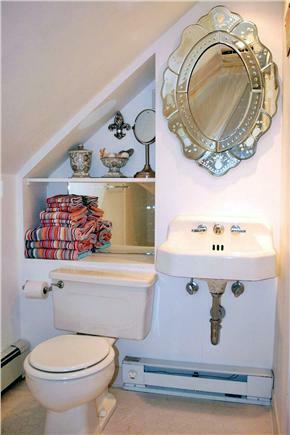 Pretty 2nd Floor Bath with tub/tiled shower combo-sloped ceiling. 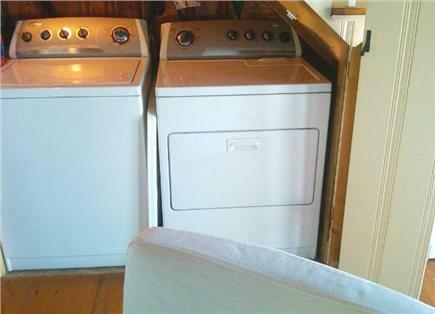 Full size washer and dryer located on main level in laundry area. Enjoy dining on the breezy sea salt air oceanside patio. 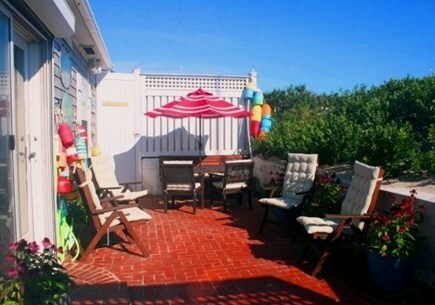 Have fun spending time on the private oceanside patio. Look out onto the Bay from our private boardwalk. Walk down to our private beach from our stairs. Enjoy early summer mornings on the beach! 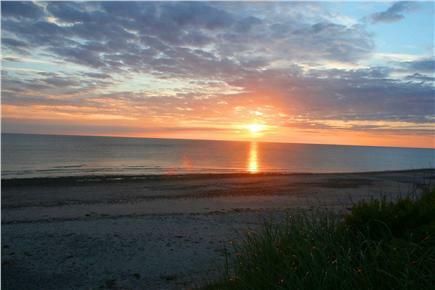 Enjoy a beautiful sunrise on our beach. Watch as Mother Nature puts on yet another colorful sunrise show. Beach: YOU'RE ON A PRIVATE BEACH-Access from beachstairs! - NO BOOKING FEES. REGULAR CLEANING FEE ALREADY INCLUDED. Come and enjoy a classic beach vacation on Cape Cod in this newly updated 4 season OCEANFRONT home nestled in the dune on its own private beach in the Historic seaside town of Sandwich. Conveniently located less than 10 miles from the Bourne & Sagamore Bridges, this quaint one+ acre property is also just 60 miles from Boston, Provincetown and Providence off a private sandy road near cranberry bogs, old conservation lands and scenic walking trails. Drop your bags and settle into this vintage styled beautiful home as you will feel worlds away from the daily hustle and bustle of life during your stay with the beach as your back yard. The main level features an open floor plan that beckons guests to spend time together in a comfortable and relaxing living area w/ large flat screen cable TV and surround sound stereo system (w/ac). It's the perfect cozy atmosphere to watch a movie, listen to some old tunes, play a game, chit-chat and laugh late into the night. 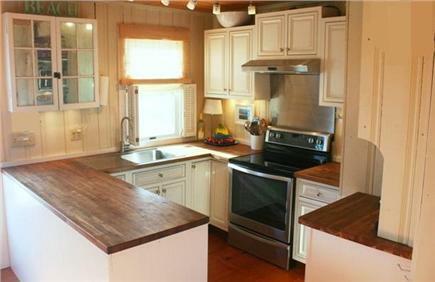 The adjoining dining area and nicely equipped kitchen is a great place to cook and enjoy a favorite recipe or two. 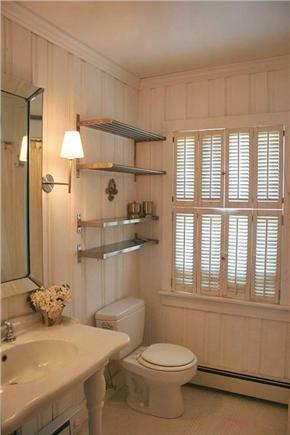 And don't forget there is a hidden convenient laundry area with full size washer and dryer available. When you're ready to play outside, the beach awaits you for an afternoon of surf and sand. Swim, sunbathe, build sandcastles, stroll along the beach, gather seashells, play horse shoes, relax, read a good book and soak up the sun and sea salt air. When it's time to explore, there are many wonderful fun places to venture out and see. You can spend the day touring and sightseeing around the Cape and Islands, shopping, whale watching, fishing, golfing or take in an evening concert, a lantern tour of an old graveyard, a Cape Cod baseball game, a festival (oyster and scallop), etc. Or start with the charming village of Sandwich, just minutes away, with its famous Sandwich Boardwalk, Historic attractions, museums, quaint antique shops, art galleries, miniature golf, popular restaurants, ice cream shops and plenty of retail therapy. Take a break and have a family meal and drinks on the intimate breezy Oceanside patio where you can relax under the shade or under the stars. The delightful outdoor dining space features a table, bench, chairs, colorful market umbrella, outdoor stereo speakers, festive mood lighting, beautiful summer flowers and a small propane gas grill. 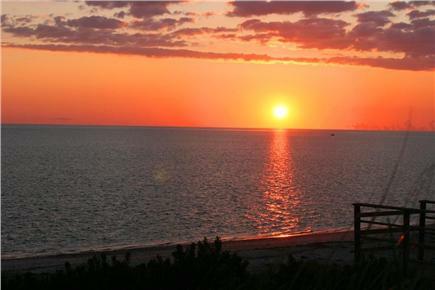 From there, wander up the steps and onto the boardwalk and gaze out at your own private stretch of sand and sweeping views of Cape Cod Bay. At the end of the day when you're all tired out from your adventures, tumble into one of the cottage's many comfy beds letting the sound of the ocean waves lull you into a dreamy sleep. The pretty master bedroom (king w/ac) on the main level has a flat screen TV and attached newly tiled bath with a large walk-in rainfall shower, handheld sprayer and bench seat. Upstairs, the large 2nd bedroom (king and cozy built-in twin, w/ac) has a flat screen TV, amazing sunrise views, and shares a newly tiled bath (tub/shower combo w/sloped ceiling) with the adorable 3rd bedroom (queen and cozy built-in twin w/sloped ceiling, no ac) also has a flat screen TV and has stunning views out over the Bay to watch the sunsets and boats navigating the canal. There are also lounge chairs, volleyball/badminton set, bean bag toss, horse shoes, bocce ball, boogie boards, books, board games, decks of cards, telescope, security cameras, etc. at the property too. Being just feet from the beach the cottage only affords upstairs ocean views. The beach can be a bit rocky some years as it changes with storms so water shoes are suggested. Property video below filmed in January 2017. Kayak and standup paddle board rental company on Route 6A in East Sandwich - just 5 minutes from the cottage - and they can deliver the equipment to our property. 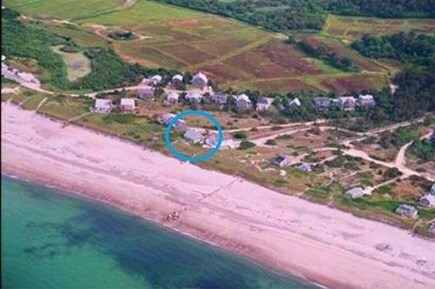 Nearest beach: YOU'RE ON A PRIVATE BEACH-Access from beachstairs! Additional availability info: Available all year.Rentals are usually Saturday to Saturday but flexible to suit guests if possible. Long-Term Rental (1 month or more): Considered upon request. We offer short and long term winter rentals as the house is heated. We rent for long weekends in the spring and fall. For specific information please inquire. Monthly rentals include weekly cleaning service but not utilities. Additional pricing info: Regular cleaning fee, linens/towels included in total cost. Refundable security/damage deposit $750. State and local taxes of 12.45% will apply. Cathy...As you know, Sue and I have been renting on the beach in East Sandwich for years - we just love the area. This year, having our own businesses, we could not do a vacation until after the main season. The moment we drove through your gate, we felt the stress leave...We loved the seclusion and felt like we were on an adventure! We opened the cottage door and were met by the most beautiful and thoughtful bouquet of balloons attached to shopping bags with totes for each of us in celebration of our birthdays - 9/22 and 9/23. We knew we were "home"! This cottage is beautifully decorated and has been so well cared for that this is the first time I felt that I did not have to use my own linens. 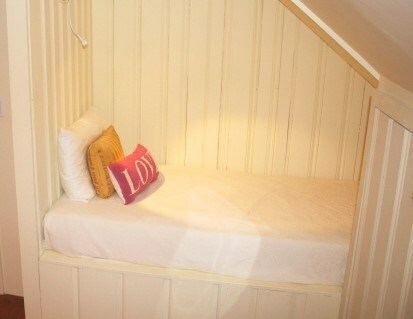 The beds and the furniture are so comfortable, we did not mind the occasional rainy weather outside. The kitchen has all the cooking stuff you could ever need and spices, and paper goods as well - same for the wonderful bathrooms! I loved the ocean views from my bed upstairs each night and listening to the gentle roll of the waves as I went off to ZZZZZ land. We also felt so well taken care of - occasional calls from you to make certain we had everything we needed were again, so thoughtful. This house has tons of things to do - kayaks, beach chairs and lounges, outdoor tables and patio furniture...and the most splendid private beach. If you are looking for the BEST beach rental EVER - this is it!!!! Private, serene, perfect for the whole family! My husband and I (and our kids) rented this house with two of our friends for our annual Cape week. We normally stay in Hyannis, but wanted to find a place directly on the beach to make things easier with the kids (ages 4 and 6). 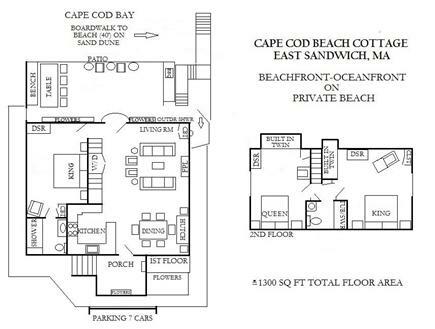 It was the perfect combination of private waterfront home, and quintessential Cape Cod vacation! For a few days my mom joined us, so we had five adults and two children staying in the house, and there was plenty of room. It was beautifully decorated, incredibly well-equipped, and clean. Just all-around wonderful. Awesome cottage on the beach!!! We all agreed that this is definitely a repeat rental for us. 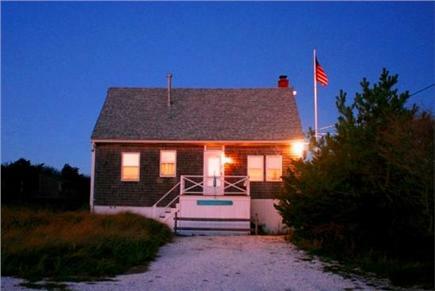 It is a beautiful cottage on the beach with so many included items. It was so nice not having to bring beach chairs, linens, towels, toys, games, etc. You even had kayaks for us to use. We really enjoyed them. We had a great time!! 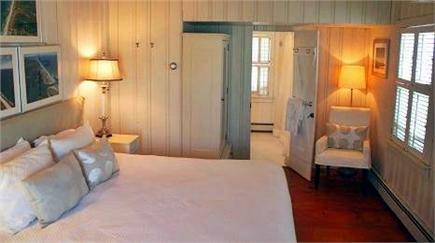 You could not book a more well appointed Cape Cod Cottage! 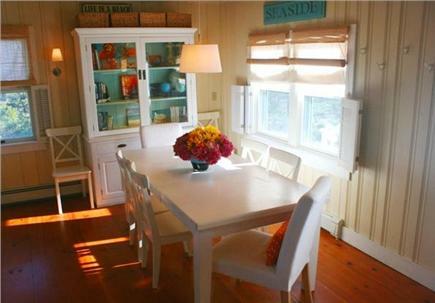 From every beach necessity you could imagine to everything a kitchen could need to a wide array of board games, this cottage has all the essentials for a memorable Cape Cod Vacation! This cottage has it all waiting for you! This cottage has it all waiting for you! All the supplies you wish every home rental would have, so you don't have to bring it. Beach chairs & towels, all kitchen supplies, all linens (! 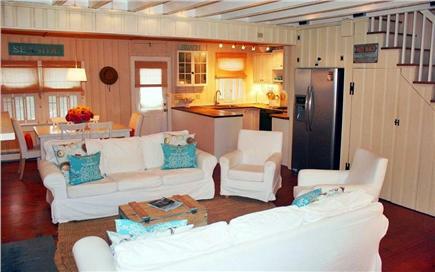 ), Wifi, secluded beach... Comfortably furnished, great appliances, first floor washer and dryer. Back patio and grill were great for hanging out, beautiful sunsets from the boardwalk every night! We had the most amazing time at this beach house. The listing and photos are accurate but cannot come close to being there. The house was decorated nicely, beds were comfortable and the kitchen was well stocked. Anything we needed was already there. We are definitely hoping to return. Cathy thought of everything and was amazing to work with. We spent a fantastic long weekend with friends at Cathy and Karl's beach cottage. Yearly road trip. 6.5 hours from Montréal. The house is superbly located, right on the beach, as evidenced from the pictures, but also only 25 minutes from Hyannis Port and 40 minutes from the Woods Hole ferry to Martha's Vineyard. So, very central. The house itself is very clean, comfortable and cozy (can easily sleep 6 adults and 2 children). 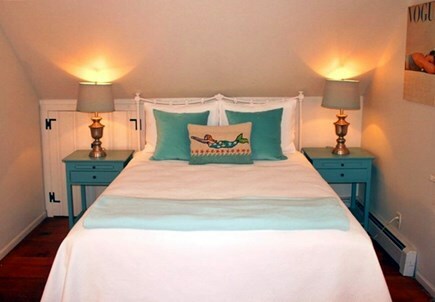 Cape Cod style and colours get you in a vacation mood instantly, from the moment you walk in. Lots of amenities. There is everything you need in the kitchen, including a wide selection of dry spices should you choose to cook, which we did. We also used the gas BBQ. We lit a couple of bonfires right on the beach at sunset, sipping wine, watching waves breaking on the beach. Fond memories. If possible, the pictures posted on the listing don't do this fantastic house justice. This is a well-maintained, modern cottage, and Cathy is a very responsive owner who helped us navigate any quirks about the house that we couldn't figure out for ourselves. We had five people staying here very comfortably, including my parents and our toddler. Our property is very private and beautiful. Our home is very relaxing and a great place to get away to from the hustle and bustle of the world. Being direct beachfront let's you step right outside to watch the sunrise over the ocean while sipping your coffee or tea in the morning, in the afternoon sunbathe and soak up the sun, take a walk or jog along the seashore, sit and read a book and enjoy the sea salt air, play games, swim in the water, fish and in the evening have a picnic or a clambake and cocktails while watching the spectacular sunsets with a beach fire awaiting the stars above to sparkle in the moonlit sky- while the waves crash below at your feet. In the spring time there are right whales swimming in the Bay. They are amazing! For the curious observer they can be tracked online here http://www.nefsc.noaa.gov/psb/surveys/ to see where they are located around the Cape. There are also seals swimming about. They like to come ashore to rest and nap quietly on the beach. Of course seasonally, many different types of birds fly about and are a joy to watch, from piping plovers, loons, blue herons, osprey and sparrows to the full time hawks, seagulls and others in our area. Rabbits run about most of the year making mad dashes through the grasses and shrubs hiding and playing but still keeping an ever watchful eye out for meandering red foxes that wander around our property. There are walking trails nearby us as well. Incorporated in 1639, Sandwich is a beautiful historic seaside town located about 60 miles from Boston, Provincetown and Providence just over the Cape Cod Canal. It is one of the oldest towns in the United States, settled in 1637, over 125 years before the American Revolution.The Cape Cod Canal was opened in 1914 and at that time became the widest sea level canal in the world. The Canal connects Buzzards Bay and Cape Cod Bay. It is 17.4 miles long, 480 feet wide and 32 feet deep. Sandwich was the first town established on Cape Cod and local landmarks and working museums are very close by and offer a glimpse into the past for history buffs. Local farmers markets and flea markets are full of great goodies and finds. Art lovers will enjoy the many art galleries, antique shops and local artists studios in the area. Sandwich also offers biking and walking trails, bird sanctuaries, beautiful lush gardens and saltwater estuaries along with its beautiful seashore. Sandwich's downtown village has great shops and restaurants to enjoy. For the adventurer, there are beautiful marshes in Sandwich where kayaking gives the vacationer a wonderful experience of being part of nature up close and personal. 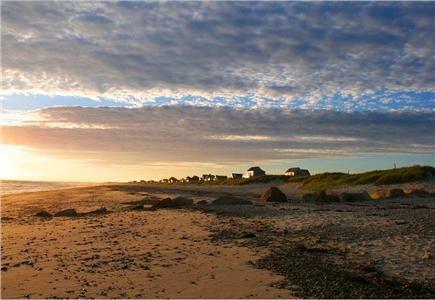 Sandwich is a coastal town not to be missed while visiting Cape Cod, if not for its beauty then for its rich history.